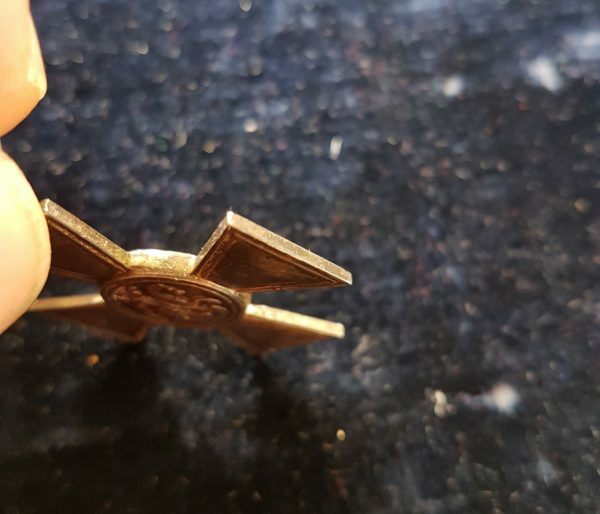 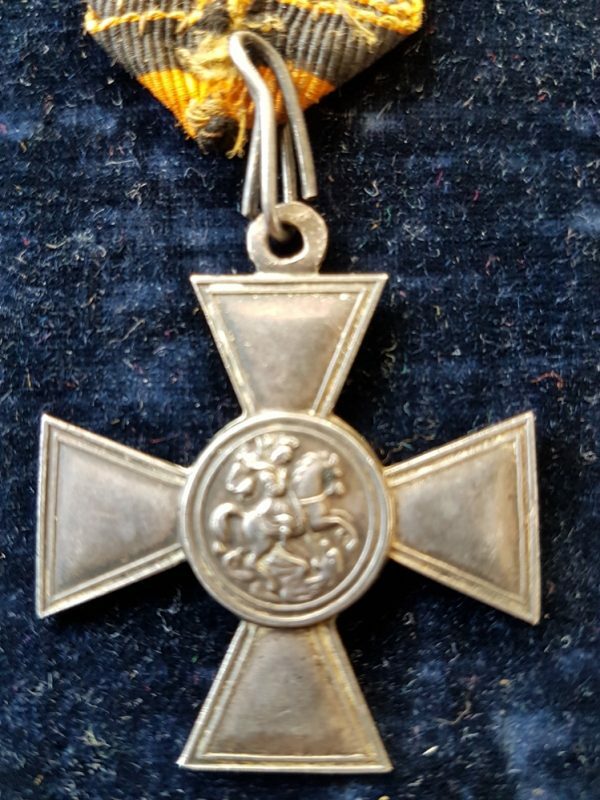 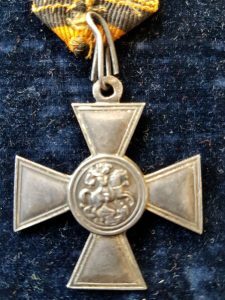 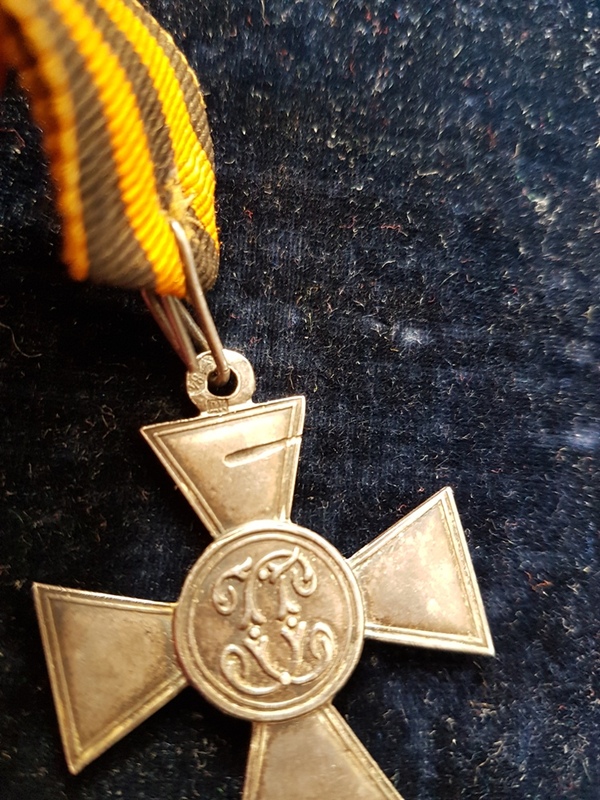 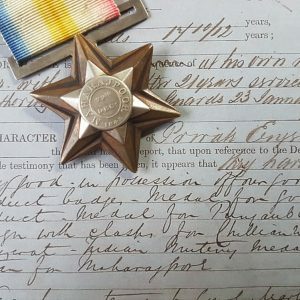 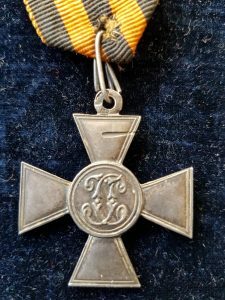 Russian Imperial Cross of St George 4th Class. 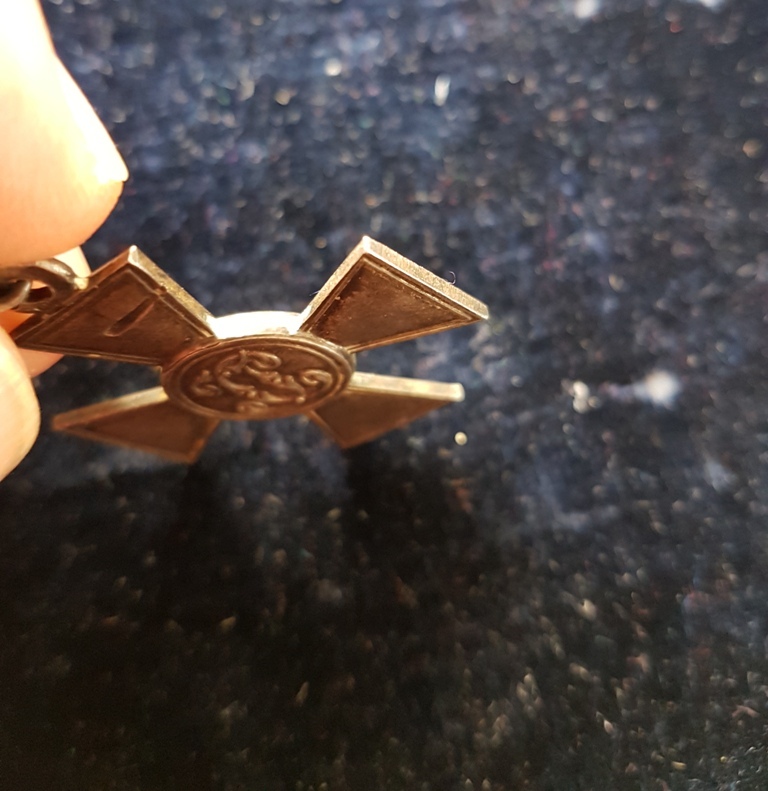 This, original, cross was made in Moscow by Dmitry Kuchkin (ДК) workshop somewhere between 1908 and 1917. 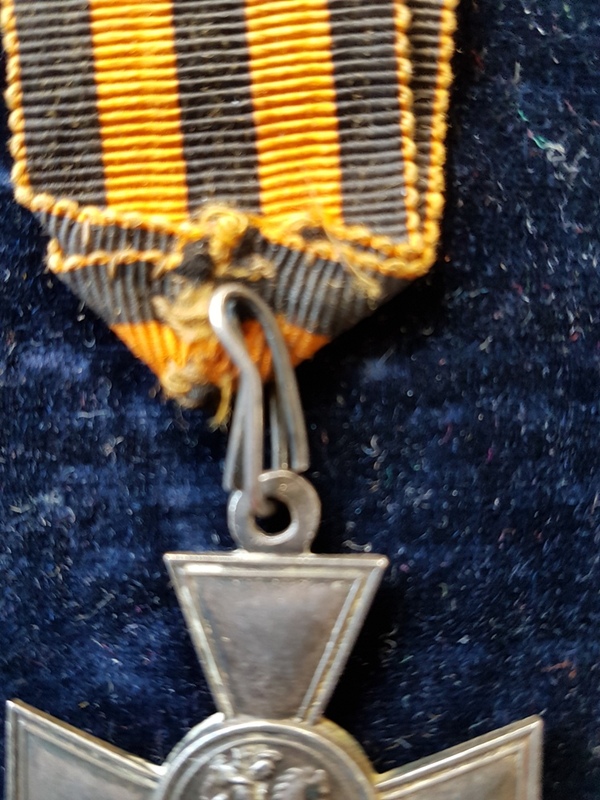 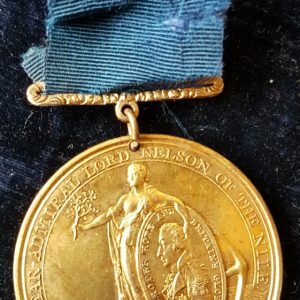 Note the pre-Revolution Hallmark by the suspender ring. 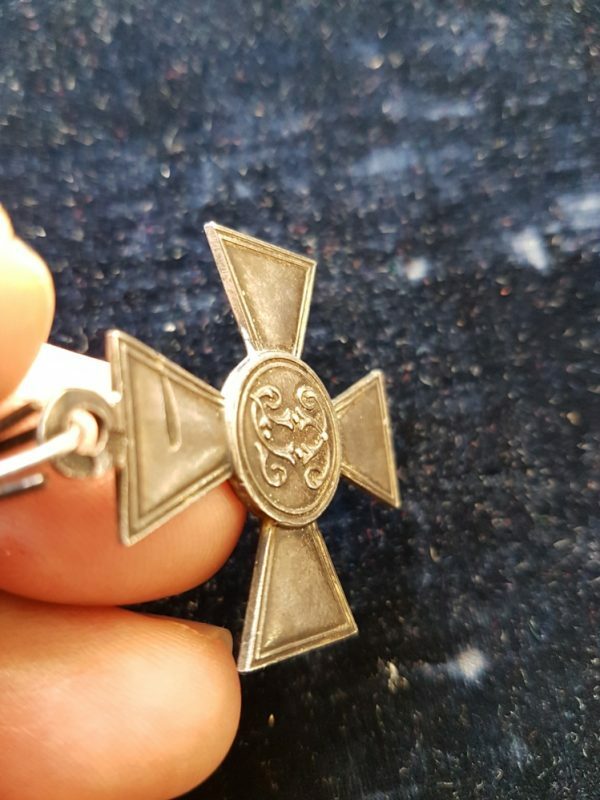 Please, also, note the scar in the silver on the upper vertical arm of the cross.